Answer: It’s Marilyn Crispell. Good work. We’re very proud to present an evening of knowns and unknowns from Marilyn Crispell.The pianist has a career based on an adventurous sense of discovery and an honest reaction to the temperament of experience as she continues to compose, perform and record. Free of infelicitous cul-de-sacs, Crispell’s work continues to evolve with solid iterations on existing language and dynamics. With that stated, lining up and reviewing Crispell’s recorded work would show more than one artist to the initiated. Question: What musician could both be fêted by first-generation avant-garde jazz piano superhero Cecil Taylor and record a series of CDs on the often fetishistically sonorous ECM label? Marilyn Crispell had a formal start to her professional music life by studying classical music and composition at New England Conservatory in Boston in the late 1960’s. After her conservatory studies and a six-year break from performing, she found a deeper connection to jazz and her musical coding, assimilating John Coltrane’s A Love Supreme and the pointillistic, percussive clusters of Cecil Taylor into her playing. Crispell became a fixture and teacher at Karl Berger’s iconic Creative Music Studio in Woodstock, NY. Shortly into her residency in Woodstock, she was asked to join an Anthony Braxton performance and at its ending, the famously demanding Braxton announced Crispell as his new pianist. Joining Braxon’s fast-moving universe meant learning color and shape notations, applying pulse tracks based on planet orbits, to already singular compositions, all the while adding elements of one composition into another, among other new strategies. The Creative Music Studio and Braxton connections became a portal to work with a substantial checklist of the Loft Jazz scene and principals of Chicago’s Association For The Advancement Of Creative Musicians (AACM) including Roscoe Mitchell, Leo Smith, Julius Hemphill, Reggie Workman and George Lewis. Crispell’s discography begins with an Anthony Braxton Creative Orchestra recording in 1978. Her recording debut as a bandleader commenced in 1982 with four long-form compositions on Spirit Music, joined by violinist Billy Bang and drummer John Betsch. While issuing a series of bracing, lyrical and challenging recordings as a bandleader, much of Crispell’s recorded output and live appearances revolved around Anthony Braxton’s Quartet with fellow explorers in bassist Mark Dresser and drummer Gerry Hemingway. 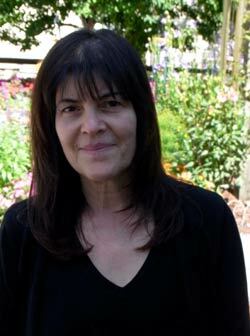 After ten-plus years as the Quartet pianist, her career as leader expanded in the 1990’s and included extensive work with English bassist Barry Guy and drummer Paul Lytton. By 2007, Crispell had added another sphere to her performances, influenced by the more glacial, dark beauty of Scandinavian improvisers. This led to a series of seven releases on Manfred Eicher’s sui generis ECM Records. Crispell began using the simpatico rhythm section known via pianist Paul Bley’s recorded work – bassist Gary Peacock and drummer Paul Motian. Like Bley’s work, much appearing on earlier ECM releases, Crispell’s piano often appears as a flowing, open and ringing voice of considerable depth. Marilyn Crispell’s work continues to expand from the foundation of her existing disciplines. Crispell appears as a Master Artist In Residence at Atlantic Center For The Arts in New Smyrna Beach. Her presentation at Timucua white house will include her rapturous solo piano work and a collaboration with a non-idiomatic ensemble composed of her eight Associates from the Atlantic Center residency. Tags: Anthony Braxton, Anthony Braxton Quartet, Atlantic Center For The Arts, Civic Minded 5, cm5, Creative Music Studio, Marilyn Crispell, Timucua Arts Foundation, Timucua white house. Bookmark the permalink.